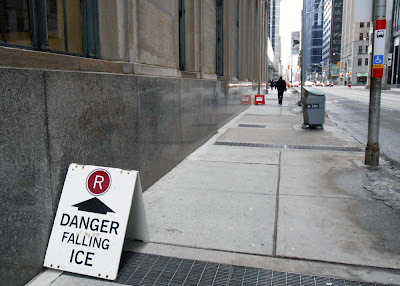 Walking around downtown #Toronto I really never thought about the hazards above your head while I enjoyed life in the big city, but these caution signs make you ponder the probabilities. 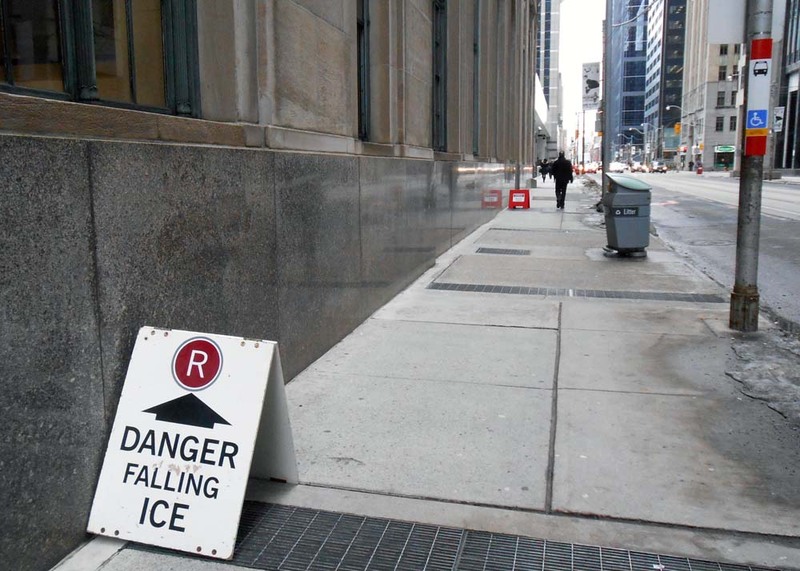 With the rash of windows breaking, the sad Gardiner Expressway crying tears of concrete and now in winter you have the chance of falling ice slamming down to the ground from skyscrapers and other high-rise buildings. 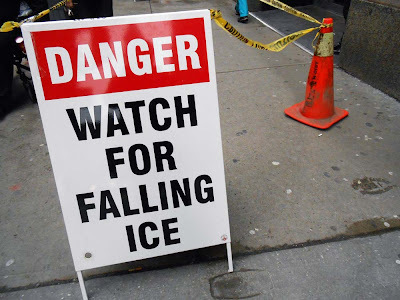 This winter I was walking along Yonge Street when a slab of ice crashed to the sidewalk within millimeters of a pedestrian walking just a few feet in front of me and I knew if that piece had made contact with someone’s head, which would be the end. 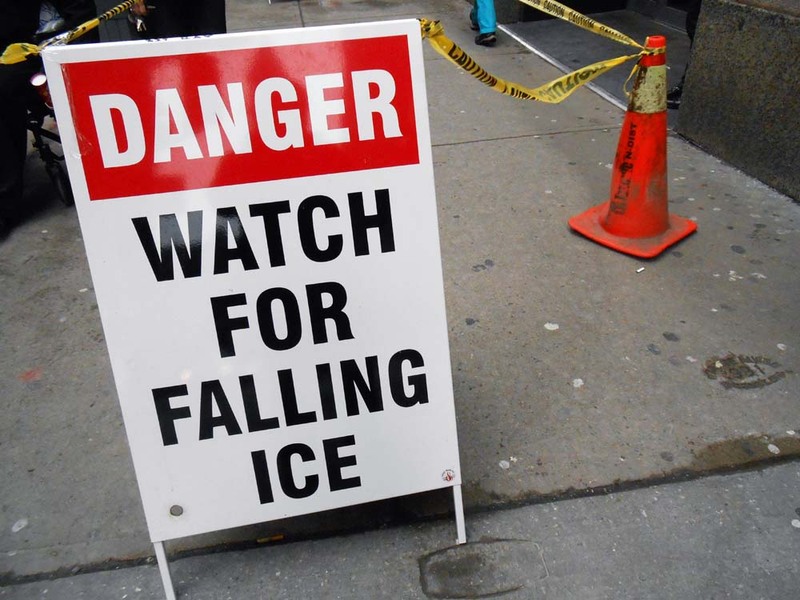 Toronto had just enough snow in the recent storm to make falling ice an issue and so the signs go up along the boulevard and hopefully everyone can make it through without injury.